SAFAR Multibuy offer: Tickets are £9 each when booking for 3 films or more. No other Tunisian book has been as popular and influential as Ali Douagi’s short story collection Sahirtu Minhu al-Layali (Sleepless Nights), published posthumously in 1969. Widely regarded as the father of the Tunisian short story and the nation’s greatest satirist, Douagi captured the zeitgeist of the pre-independence period with a smartness and wit that endures. 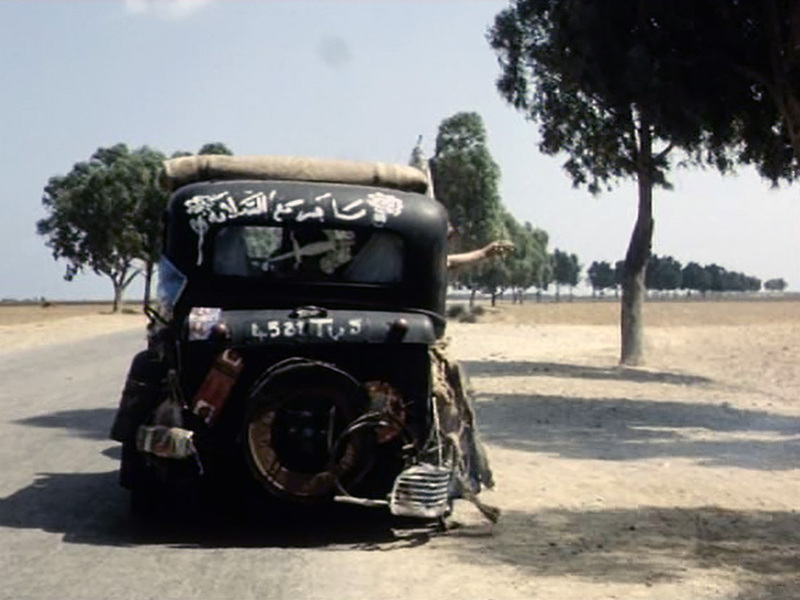 This anthology film – directed by Férid Boughedir, Hamouda Ben Halima and Hédi Ben Khalifa – comprises three stories set in the 1930s. In ‘The Lamppost’, a hairdresser meets a mysterious veiled stranger alone under a street lamp; in ‘The Visit’, an unhappy wife complains to her mother about mistreatment by her habitually drunk husband; and in ‘Picnic’, a man shares anecdotes from his rocky marriage over a lunch with a friend. Rarely seen outside Tunisia, In the Land of Tararanni is among the handful of Tunisian literary adaptations made at the first creative peak of Tunisian cinema; an analytical look at a dysfunctional society that superbly balances bitterness and ire with charm and humour. This screening is a UK premiere.